An Army National Guard recruiter told police he served as "the main contact" into a Mexican drug ring operating in Alaska's largest city. He said he transported cocaine and marijuana using National Guard vehicles and sold them while on duty. But Anchorage police mishandled the resulting investigation into accusations of drug sales and sexual assaults by National Guard members, according to a secret, city-funded investigation that became public for the first time this week. The 97-page report, which was completed March 15, 2015, portrays a cozy relationship between some members of the police department and National Guard leadership and alleges misdeeds by former Guard officials and Anchorage police leaders alike. The Anchorage Daily News and KTUU-Channel 2 went to court to unlock the report and make it public. A federal judge agreed to unseal the investigation, which has become a pivotal document in a civil trial that began Monday. • Within three days of learning that a Guard recruiter admitted to illegally selling drugs with the use of National Guard resources, police revealed key details of the investigation to the head of the National Guard in violation of APD policies and over the objections of some officers. The Alaska National Guard commander at the time — Maj. Gen. Thomas Katkus — was also a retired Anchorage police captain and a potential target in the investigation. • In 2013, Anchorage Police Chief Mark Mew asked the FBI to launch an investigation into Maj. Gen. Katkus for potentially interfering with the police department's drug investigation into Guard members. • An Anchorage police sergeant claimed a drug trafficking organization with ties to the Mexican cartel La Familia supplied the drugs sold by a Guard recruiter. One or more sources in the fledgling drug investigation told police of plans for Alaska National Guard members to "start sticking drugs on the AKNG aircraft." 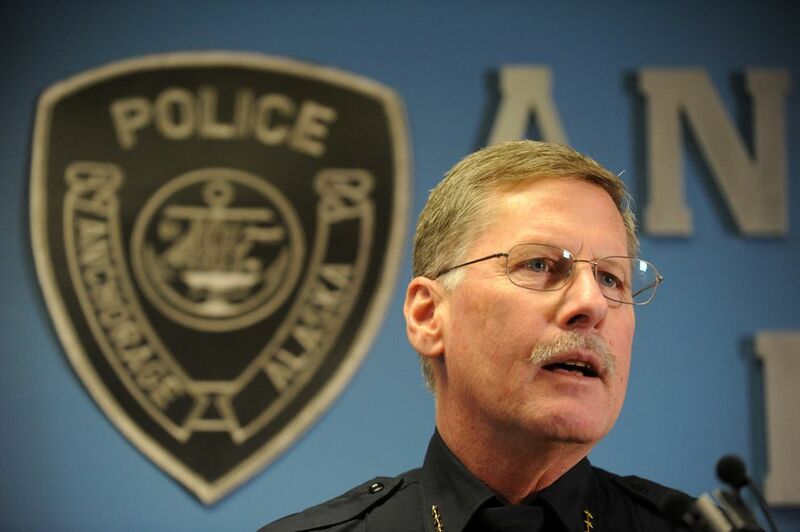 • Anchorage police opened as many as 27 cases related to sexual assault and the Alaska National Guard, dating back to 2004. A Guard member who told police she was sexually assaulted by a Guard member said she didn't know who she could trust due to the web of connections among Alaska National Guard and APD personnel. A federal judge unsealed a redacted version of the confidential report Tuesday in response to the Daily News and KTUU court filings and the judge's order. The news organizations argued the public should have access to allegations of wrongdoing by high-ranking public officials. The Brown report served as the grounds for the secret suspension of former Anchorage Police Chief Mew in 2015. Brown concluded that Mew failed to launch an internal investigation into apparent police misconduct and, by attempting to rely on the FBI, "abdicated his authority" to determine if his officers were involved in wrong-doing. The report also led to the firing of police Lt. Anthony Henry, who colleagues accused of revealing confidential details of the police department's investigation to the commander of the Alaska National Guard. Lt. Henry's firing sparked an expensive, drawn-out lawsuit that has culminated in the jury trial that began Monday in U.S. District Court in Anchorage. Henry claims he was wrongfully terminated and the target of retaliation from police leadership for actions he said he took to protect a co-worker against discrimination based on a disability. Henry's attorneys call the Brown report — which concluded that Henry violated APD policies — false and salacious. The city fought the public release of the Brown report, saying it contained sensitive information, and continues to object to it being made public, even in its redacted form. The Brown report describes a fizzled investigation, fearful sexual assault victims and finger-pointing among law enforcement amid Alaska's National Guard scandal. Here is what it says. On Feb. 23, 2010, an Anchorage police officer spotted a drug deal going down in the Costco parking lot on DeBarr Road in East Anchorage. When police stopped the driver's car, "a large amount of powder cocaine" fell from the driver's pants. The driver faced felony drug charges. He began to talk. The boyfriend of an Alaska National Guard member, he connected police to a Guard recruiter. The recruiter admitted to "transporting drugs on AKNG (Alaska National Guard) work time and in AKNG vehicles," the report says. The recruiter agreed to cooperate as a police informant but asked that investigators refrain from telling his employers at the National Guard. The investigators, members of APD's Special Assignment Unit, agreed. But their commander, Lt. Henry, soon told them it was a promise they could not keep, the Brown report alleges. A meeting was arranged for Feb. 26 at the Alaska National Guard. One of Henry's Special Assignment Unit members, Officer Jack Carson, said Henry forced him to reveal the identity of the recruiter as well as other Guard members suspected of being involved in or knowing about illegal drug trafficking. Contrary to the suspicions of other investigators, Henry later told investigators that there did not appear to be a "cell" of Alaska National Guard members selling drugs, and that one recruiter simply seemed to be "selling dope on the side." He said he did not arrange a meeting with his Special Assignment Unit and Alaska National Guard leaders. For his part, Katkus told a police internal-affairs investigator that he specifically told law enforcement officials that they should not provide him with specifics of their investigation. But an FBI special agent working with Anchorage police said he was blown away by the allegation from members of Henry's team that APD told National Guard commanders about their new investigation into the Guard. FBI Special Agent Steve Payne said, "Any squared away police officer, regardless of whether they were a detective or not, should have known better than to compromise their informant," according to the report. The FBI agent said that prematurely notifying the Alaska National Guard commanders of the inquiry — when they were potentially part of the problem — later made the case "impossible to solve." The source of drugs for the Guard member who told police he transported drugs in Guard vehicles was a civilian, the report said. According to the Brown report, police believed the civilian had connections to California, "and AKNG members were going to start sticking drugs on the AKNG aircraft." Meantime, also in 2010, another Guard member reached out to police with new information. This is the point, officers told Brown, when the investigation began to include reports of sexual assault within the Alaska National Guard. The Guard member told police that Gen. Katkus "went to the Army Guard recruiters and told them to lay low" and that "the police were looking at them" following the initial meetings between Anchorage police and the Guard. The Guard member said he knew the identities of four women who said they were sexually assaulted by members of the Alaska National Guard. He said he drove one of the women, a Guard member herself, to the Anchorage Police Department to report the assault. That woman later told an investigator that she believed the National Guard tried to learn her identity and lost confidence in the police department as a result. Officer Seth McMillan, a member of the APD Special Assignment Unit led by Lt. Henry, arranged to talk with one of the Alaska National Guard recruiter suspects on June 3, 2010. The meeting didn't go well. McMillan believed the recruiter planned to reveal details of criminal activity within the Guard. Instead the recruiter seemed to be trying to pump the police officer for information about the Anchorage police and FBI investigation, McMillan said. When McMillan returned to Anchorage police headquarters, he said he was called into Henry's office "and questioned why he was still looking into the AKNG," the Brown report says. Henry said Maj. Gen. Katkus wanted to know the name of McMillan's source of information from within the National Guard. McMillan said he argued that it might not be a good idea to reveal the name to the general. Henry ordered him to do so anyway, according to the report. Henry denies that assertion. Katkus later told investigators that he was not trying to get the names of sexual assault victims for his own purposes, but wanted to ensure that victims "received assistance and were all accounted for," according to the report. Carson, another member of Henry's team, said that the investigation into National Guard drug dealing fizzled when Henry told them to stop looking into the matter and because McMillan had been forced to reveal the name of the informant who claimed to have information on sexual assaults. Henry disputed Carson's accusations and said Carson had "an ax to grind" against Henry. In 2014, the National Guard scandal became a political liability for Gov. Sean Parnell, who lost re-election to Bill Walker. Parnell had requested a federal investigation into the Alaska National Guard that found "several instances of fraud," "actual and perceived favoritism, ethical misconduct and that the Alaska National Guard was "not properly administering justice." 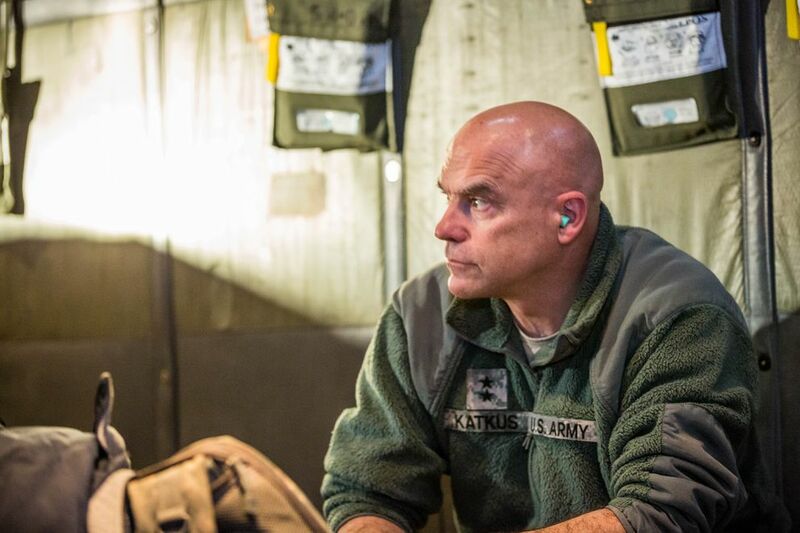 Upon release of that report, Parnell sought and received Katkus' resignation as Guard commander and commissioner for Alaska's Division of Military and Veteran Affairs. Henry was fired but is fighting back in the federal civil case that went to trial this week. In opening arguments, Meg Simonian, a defense attorney for Henry, called the Brown report a "sham" and a "hit job." She asserted that Brown was not a truly independent investigator and was part of a broader effort by Henry's commanders to set him up. She also complained that City Hall officials who fired Henry did not read the report in its entirety. The city suspended Mew for two weeks, with Brown saying the police chief violated department regulations and procedures related to internal investigations. Brown said it was "unreasonable" for Mew to fail to launch an investigation into Henry's conduct. The police chief's punishment remained secret — as did the existence of the Brown report — for more than two years. The suspension only became known when a civil lawsuit brought by two former minority Anchorage police officers, Alvin Kennedy and Eliezer Feliciano, claimed they were subjected to a hostile work environment. Mew told Brown that he had not launched an internal investigation into Henry in part because city attorneys had told him pursuit of Henry on other matters might look like retaliation because of ongoing civil matters. Mew said he faced three conflicting pressures when it came to Henry at that time: "competing criminal investigations, Office of Equal Opportunity rules and the Kennedy-Feliciano lawsuit." The secrecy surrounding the Mew suspension and Brown report raised questions about the balance between employees' rights to privacy and the public's right to know when officials are accused of misconduct. Anchorage Assembly members took steps to prevent a secret suspension from happening again. In September 2017, after learning of Mew's suspension from media reports, the Anchorage Assembly revised city laws that relate to disclosure of personnel matters. Now, if the city takes disciplinary action for high-level executives, including the police chiefs, the Assembly has to be told within a month. 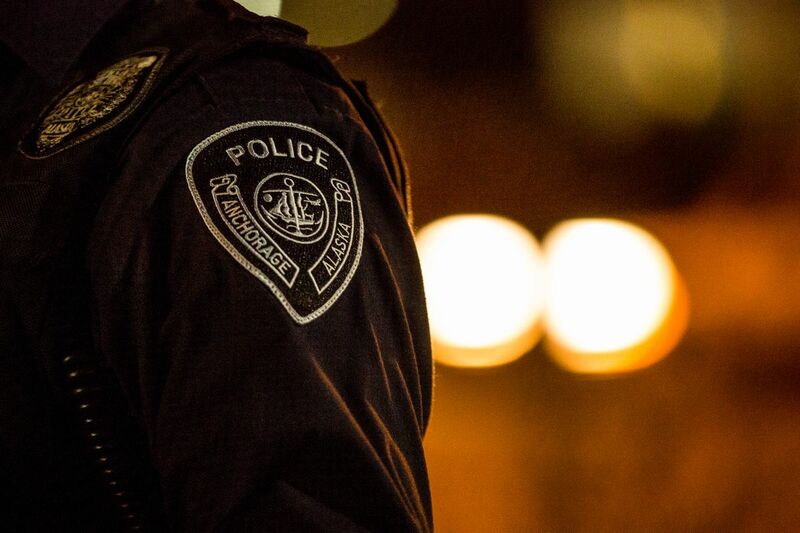 Along with calling for punishment of Chief Mew and Lt. Henry, the Brown report also recommended that Anchorage police make a series of policy changes to prevent similar problems in the future. It is unclear if those changes occurred. Among the recommendations, Brown urged the department to make recordings of all sexual assault complaints and to create an agreement with the Alaska National Guard on a policy that "clearly establishes the respective lines of responsibility and authority when an AKNG member desires to report that he or she was the victim of the crime." Current Anchorage Police Chief Justin Doll, through a spokesman, said he could not comment on details of the report or police policy due to the ongoing Henry civil trial. "Today, APD is under new leadership, and I can say with certainty APD takes any allegations of misconduct seriously and any substantiated misconduct will not be tolerated," Doll said in a written statement. Public records show that the former Army National Guard member described in the Brown report as "E.P." — the recruiter who told police he transported drugs on Alaska National Guard vehicles and sold drugs on duty — has not been charged with any related crime. The recruiter was eventually discharged from the Guard, according to an Alaska National Guard spokeswoman. The spokeswoman said she would need more time to respond to detailed questions about the Brown report because she and other Guard officials had not seen the report until the Daily News provided a copy on Wednesday. The ADN's Devin Kelly contributed to this report. Kyle Hopkins is special projects editor of the Anchorage Daily News. For 2019 he is working with ProPublica on a yearlong project as part of the Local Reporting Network, and is a recipient of the Online News Association / Google News Initiative Journalism 360 Challenge. Contact him at khopkins@adn.com.